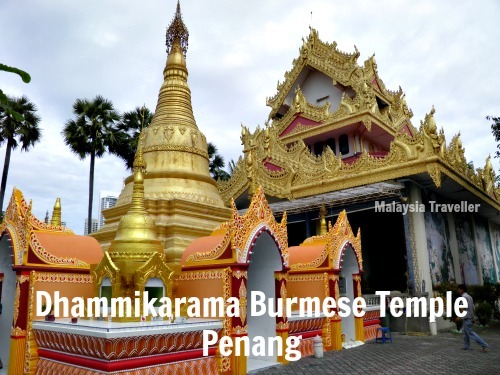 Given Malaysia’s geographical and historical links with Thailand it is not surprising that there are a good number of Malaysian Thai Temples as well as a couple of Burmese Buddhist temples in the country. 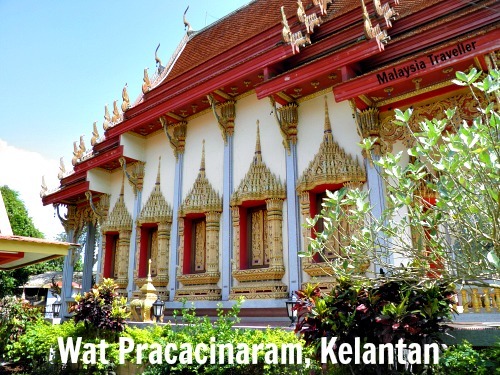 There are at least 70 Thai Buddhist temples in Malaysia with locations as follows: Kelantan 20, Kedah 38, Perak 6, Penang 4, Melaka 1, Selangor 1, Kuala Lumpur 1. 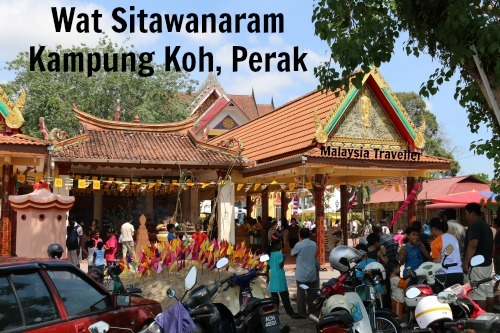 Most of the Thai Buddhist temples are concentrated around the Tumpat and Pasir Mas districts of northern Kelantan (close to the Thai border), and in northern Kedah and Perak but there are a few others scattered around the country which are popular with Malaysian Chinese Buddhists as well as those of Thai ancestry and other nationalities. As for Burmese temples, these are much fewer in number. 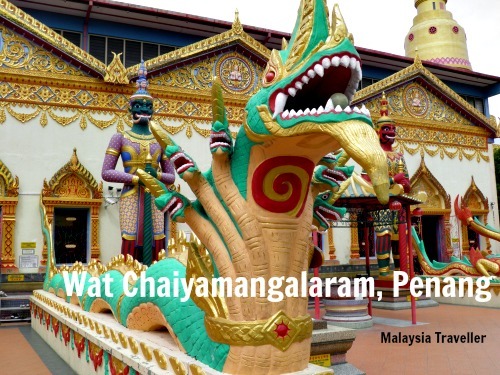 I have only visited two so far in Malaysia, the famous Dhammikarama temple in Penang and a little known temple in Semenyih, Selangor. 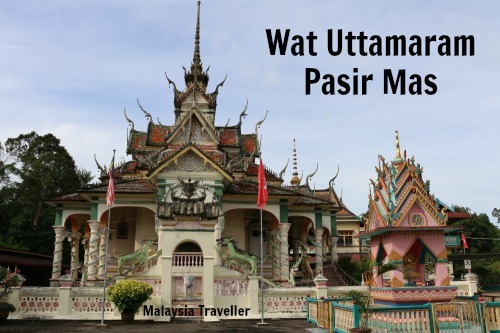 Here is my selection of Malaysian Thai Temples and Burmese Temples which I have visited while travelling around the country. This spacious temple compound is still partly under construction. The entrance to the main hall (Dewan Dhamma) is guarded by a pair of golden seven headed naga statues. 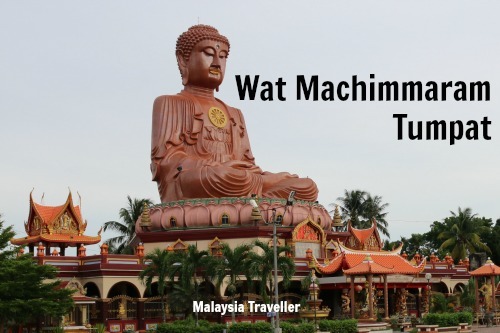 Wat Machimmaram is famed for its 30 metre high sitting Buddha statue, said to have been south-east Asia’s largest seated Buddha statue when it was completed in 2001, but since eclipsed by the Great Buddha of Thailand which is three times higher. At Wat Pikunyai. 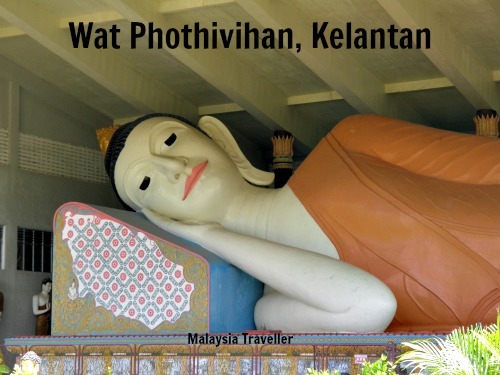 saffron robed monks lead peaceful but austere lives in this sleepy corner of northern Kelantan. This is one of the more famous temples in the area, having been established over 90 years ago. 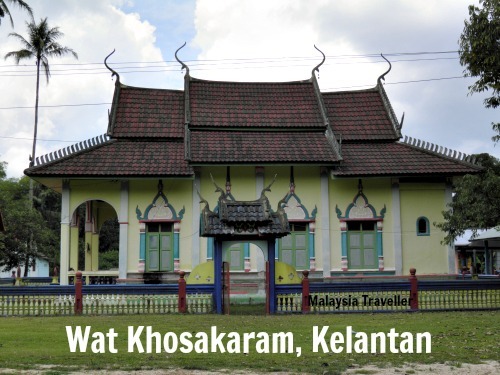 It was home to a famous abbot named Tok Raja who passed away in 1992. A 100 year old temple in an isolated and peaceful spot surrounded by rice fields and palm trees. 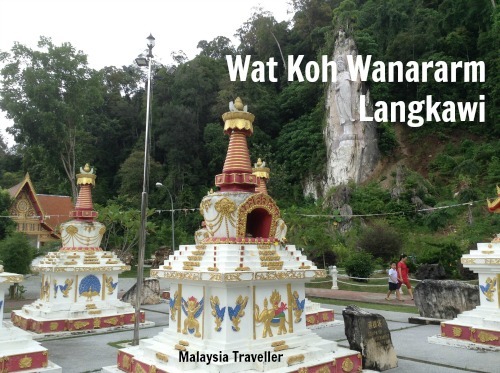 This temple built in 1979 contains Malaysia’s largest reclining Buddha statue with a length of 40 metres. Here you can enjoy herbal steam baths infused with ginger and other essences. The main attractions here are a large white marble Guan Yin statue carved out of a cliff face and an attractive landscaped garden. 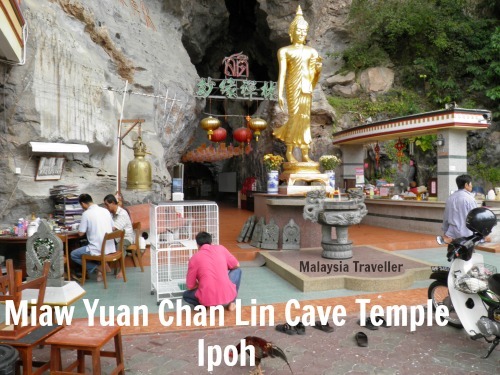 A cave temple found at the foot of a limestone hill. 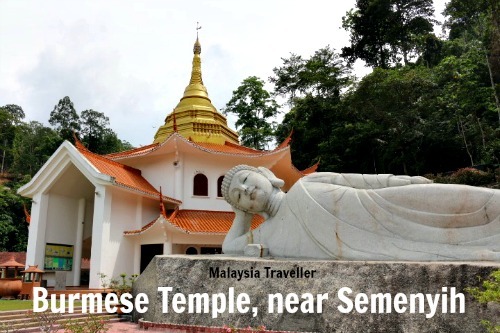 This famous temple is one of the island’s top tourist attractions and contains another large reclining Buddha statue. 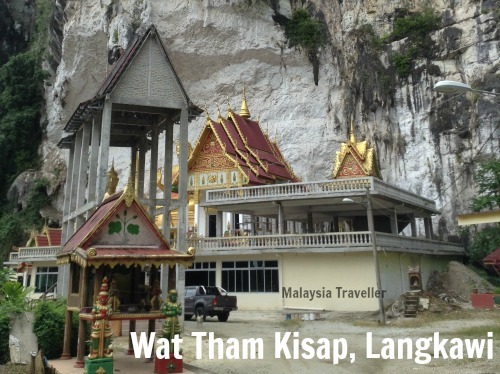 In the Gunung Rapat area of southern Ipoh there are a number of cave temples including this Thai-style one. 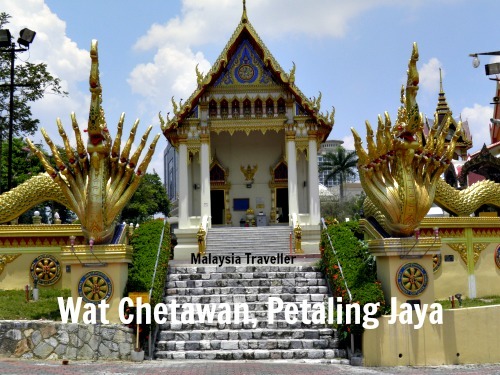 This temple was established over 100 years ago by Thai Buddhist monks. 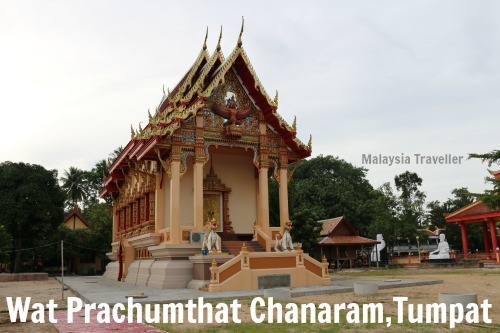 The late King Bhumipol of Thailand was one of the donors for this beautiful temple. 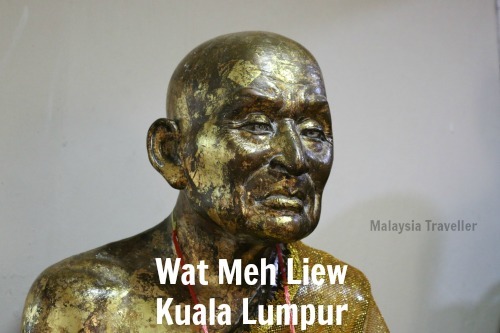 Wat Meh Lieu is a temple in what used to be called Kampung Siam. The Bodhi tree here is a seedling from the original tree under which Buddha once rested. 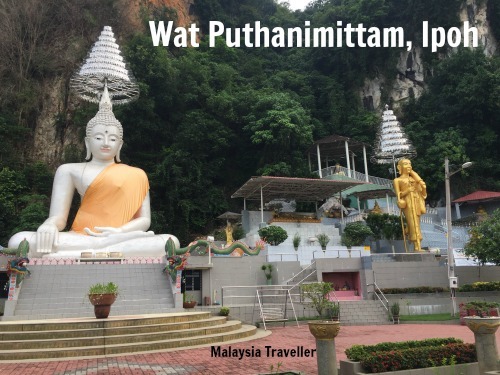 Wat Puthanimittam is a Thai Buddhist Temple at Taman Kemuncak, a quiet residential area of Ipoh, at the foot of a karst limestone hill. 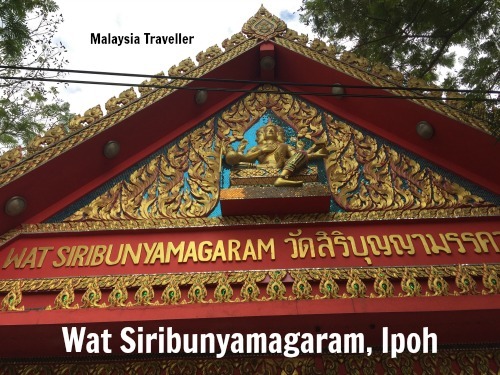 Wat Siribunyamagaram, known colloquially as Tambun Siamese Temple, is a Thai Buddhist Temple on Jalan Tambun in Ipoh. 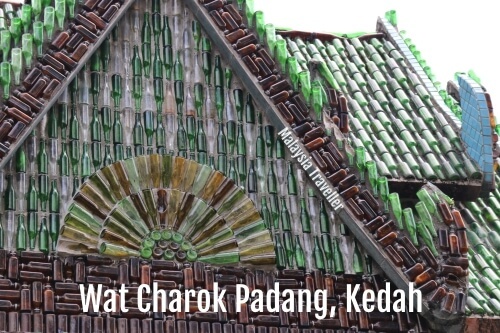 Wat Charok Padang is a Thai Buddhist temple in northern Malaysia decorated with 100,000 green and brown glass bottles. 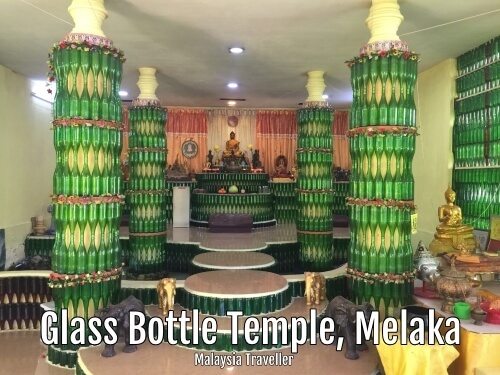 Glass Bottle Temple is a small Thai Buddhist temple in Melaka incorporating hundreds of recycled green glass beer bottles in its design. This temple was established in 1803 and contains beautiful Buddha statues and a Golden Pagoda Bell Tower among other features. I came across this temple recently. I haven’t found out much about it, not even its name, but on Google Maps it is described as a Burmese Temple. With a beautiful setting and an impressive reclining Buddha statue it is sure to become more popular. 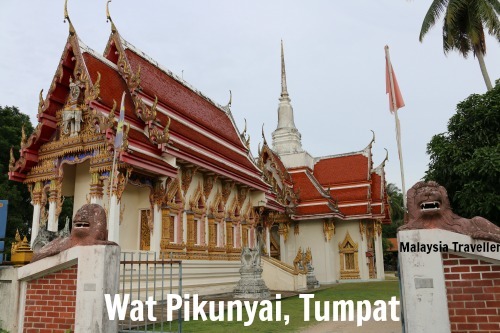 This completes my list of Malaysian Thai Temples and Burmese Temples. I may add a few more to this list in due course.